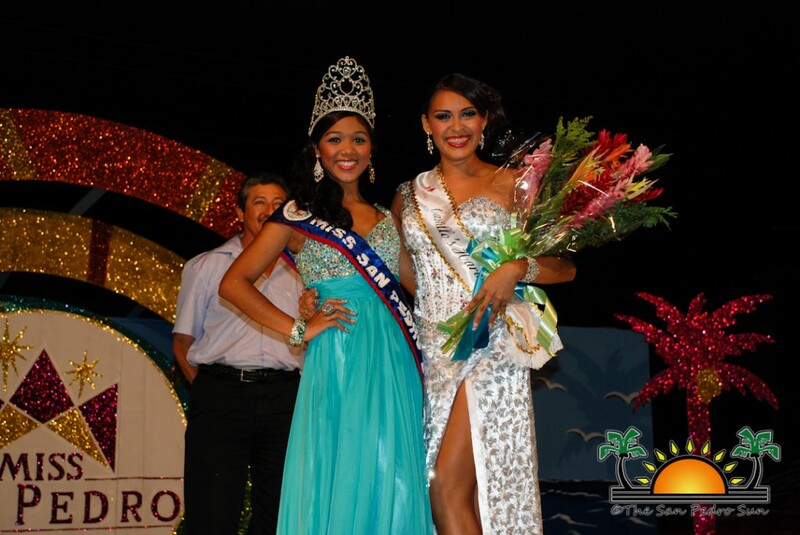 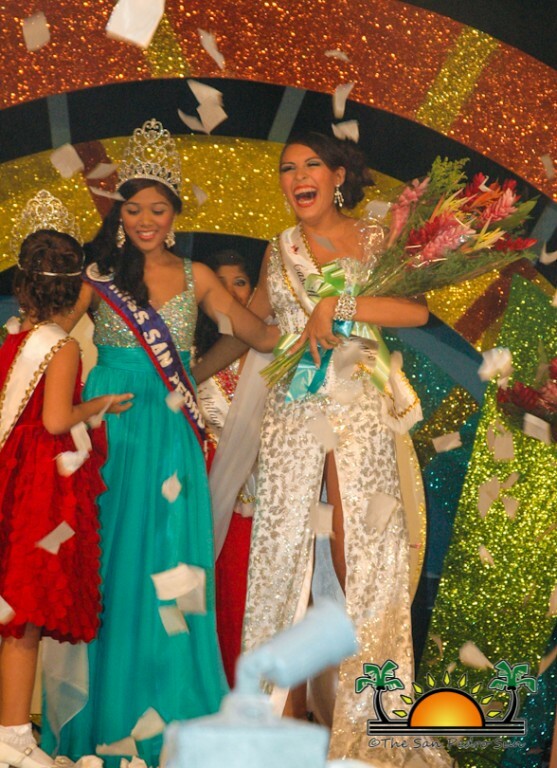 Home » Entertainment » Solani Graniel is Miss San Pedro 2013-2014! 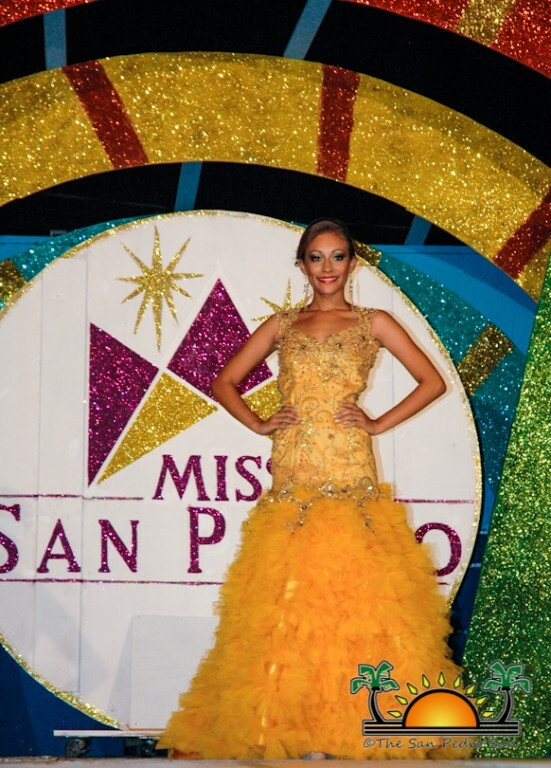 Solani Graniel is Miss San Pedro 2013-2014! 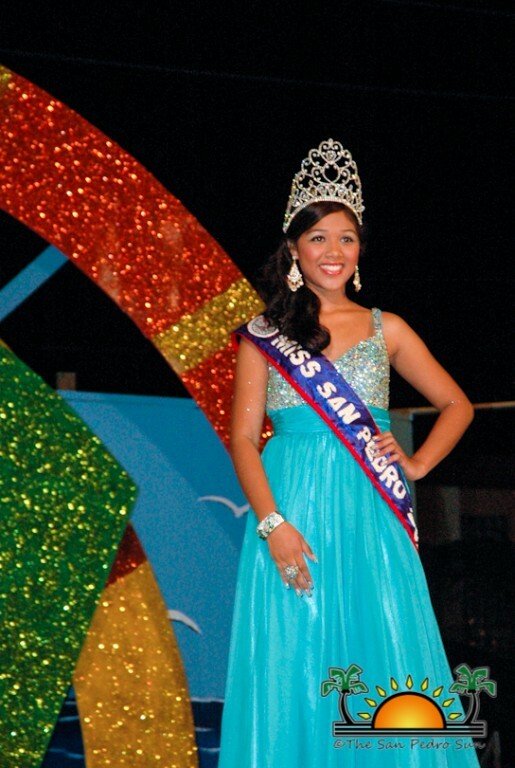 Beautiful and poised Fatima Solani Graniel is San Pedro Town’s newest beauty ambassador. 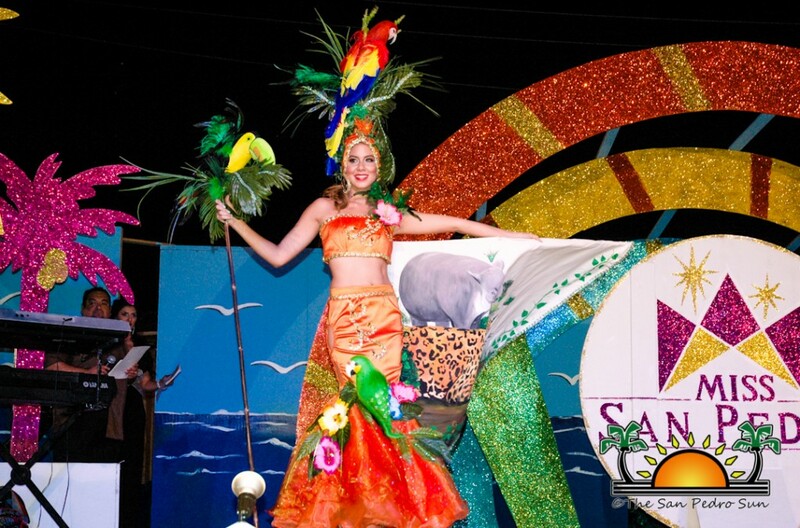 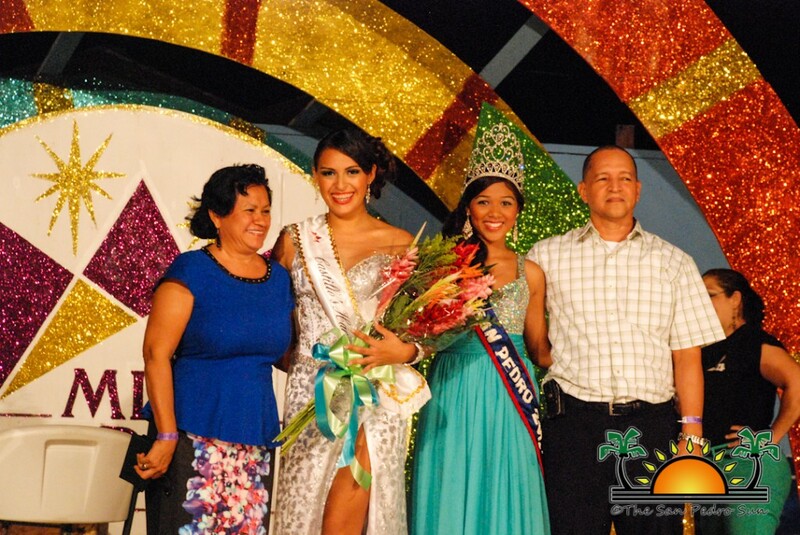 Solani was chosen as Miss San Pedro 2013-14 on the night of August 31st during the “Passport to Paradise”-themed pageant. 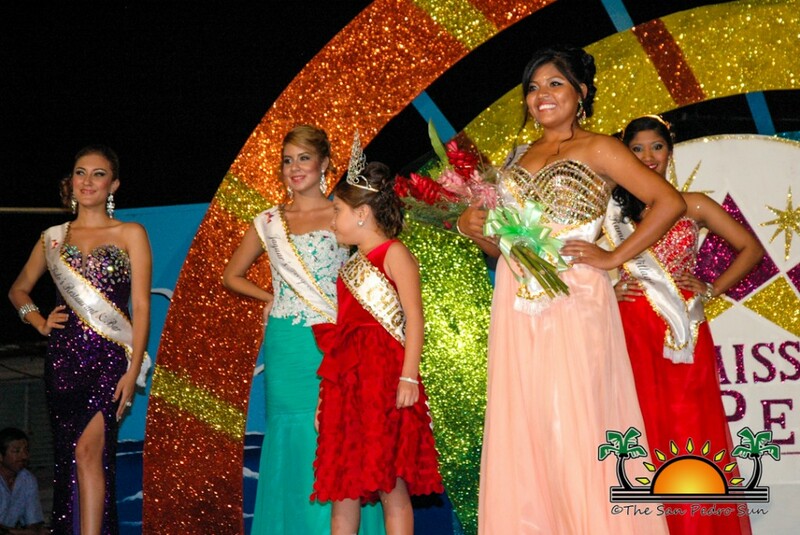 Vying for the title were Yanira Lara, Gabriela Varela, Jordana Segura, Venancia Choc, Shantell Pascascio and Solani Graniel. 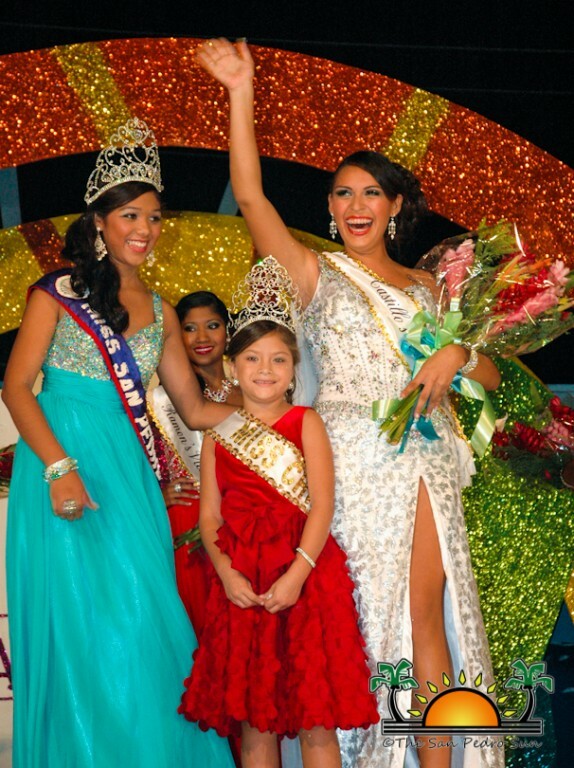 All six lovely young ladies were worthy of the title, but only one could take the crown. 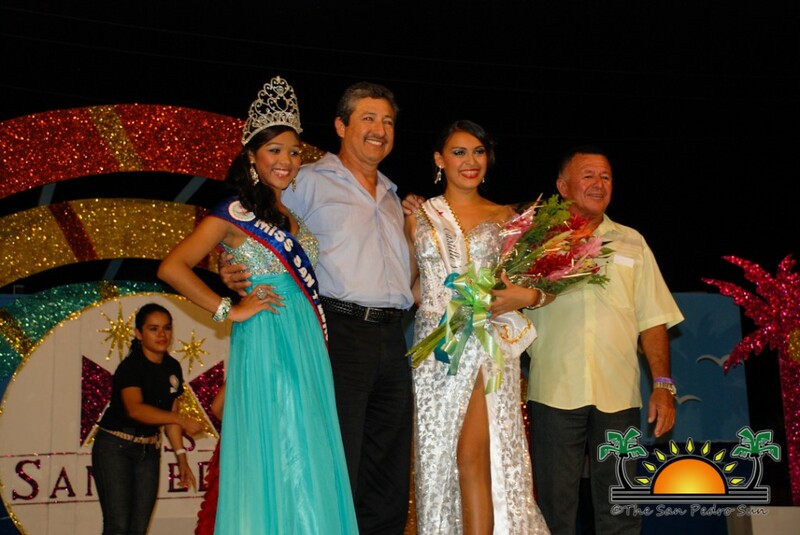 Leading the show were masters of ceremonies Eiden Salazar Jr. and Wilema Gonzalez (Miss San Pedro 1989). 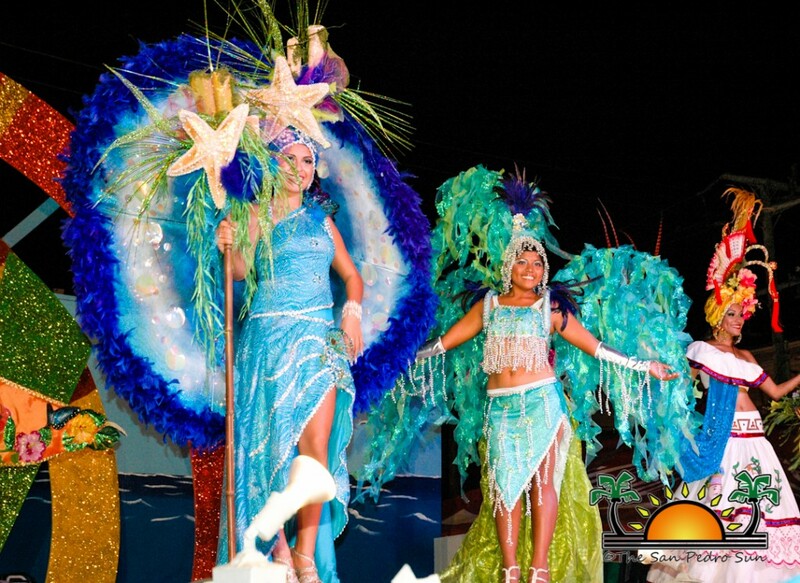 After instructing the audience to fasten their seatbelts as they awaited transport to paradise, Yanira, Gabriela, Jordana, Venancia, Shantell and Solani took to the stage with their opening dance. 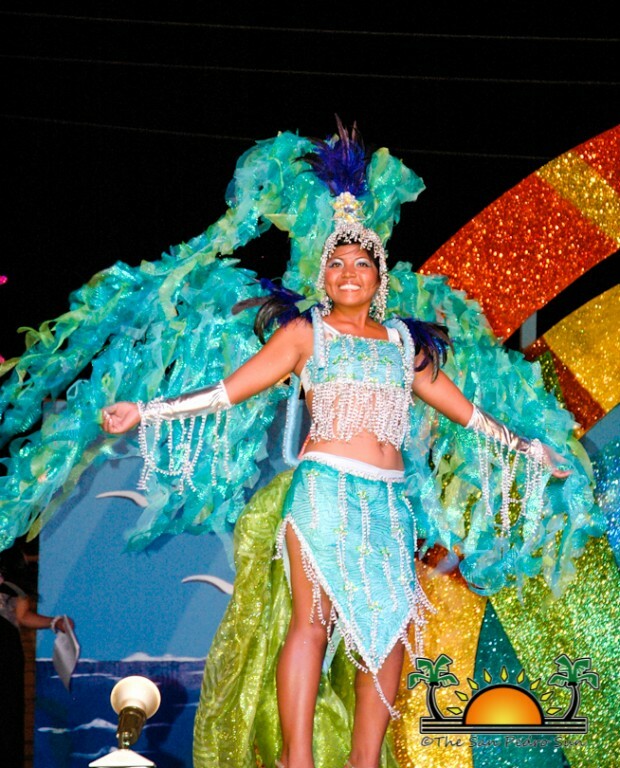 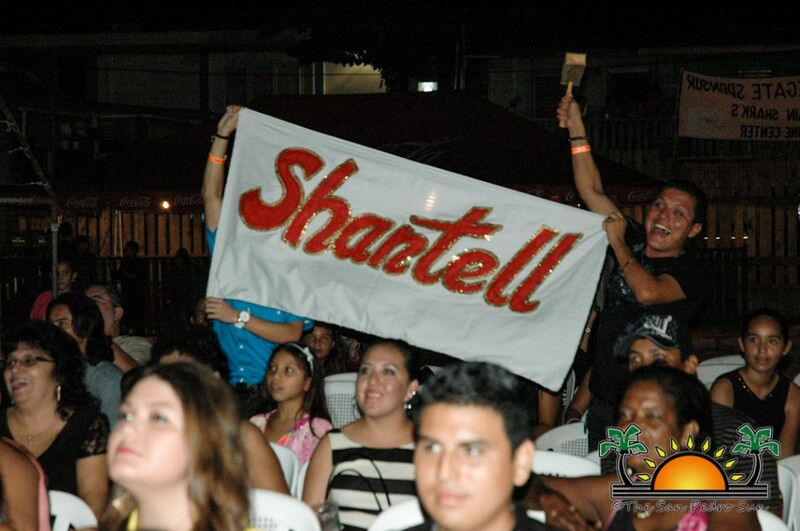 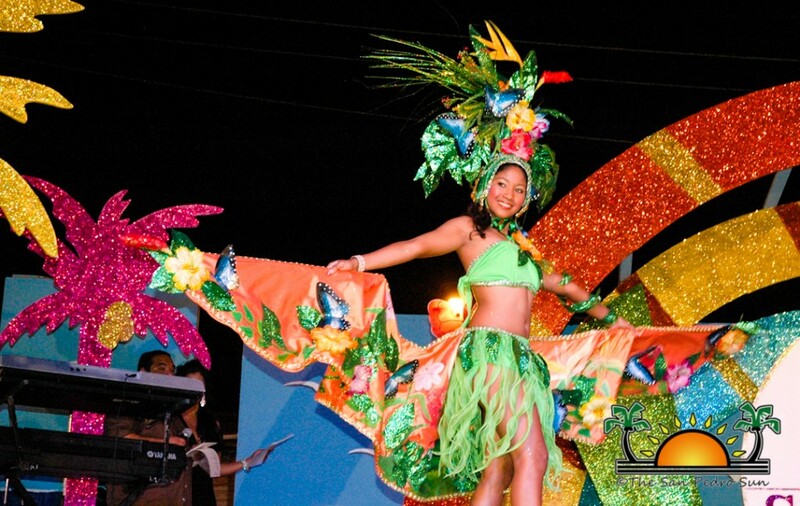 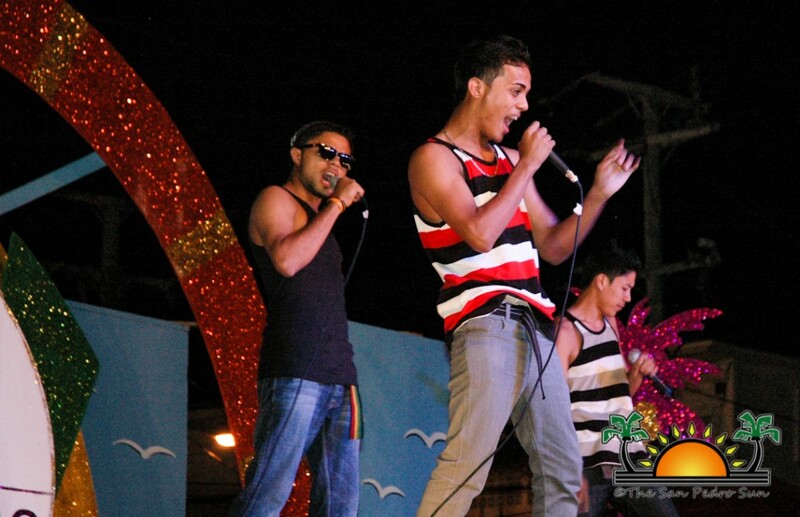 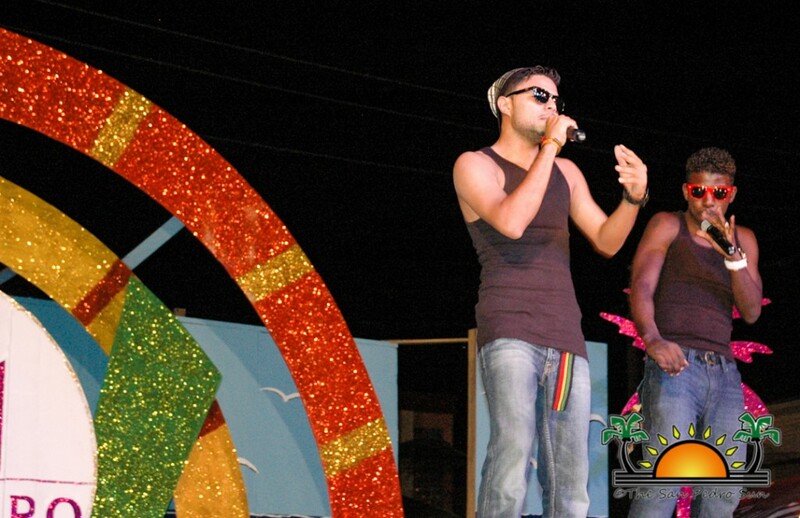 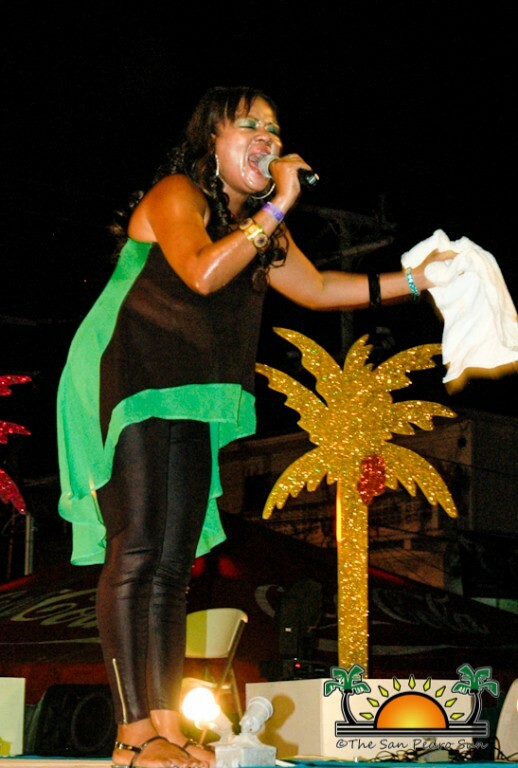 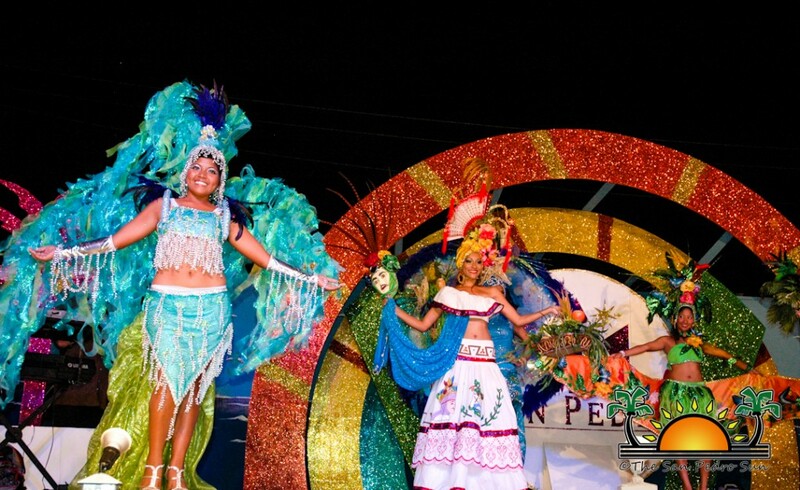 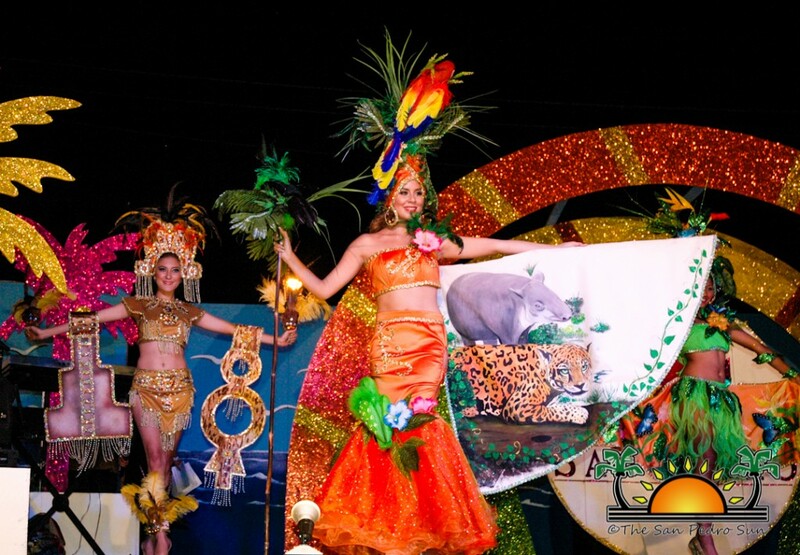 It was a choreographed event meant to showcase the beauty of Belize. 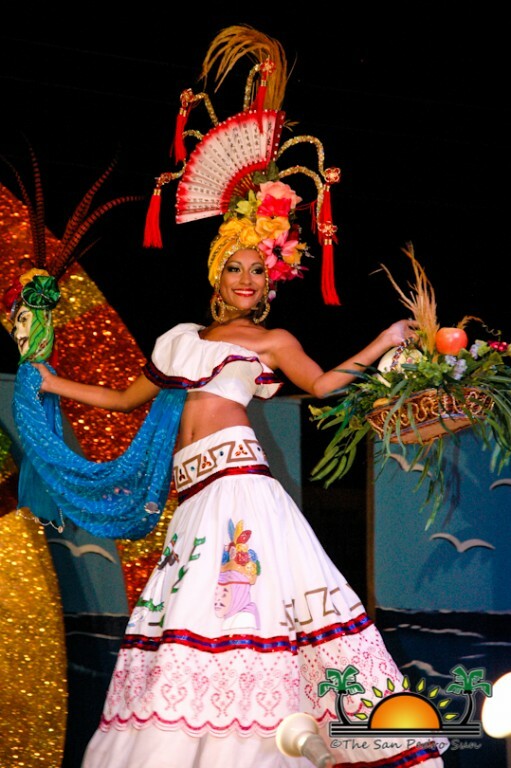 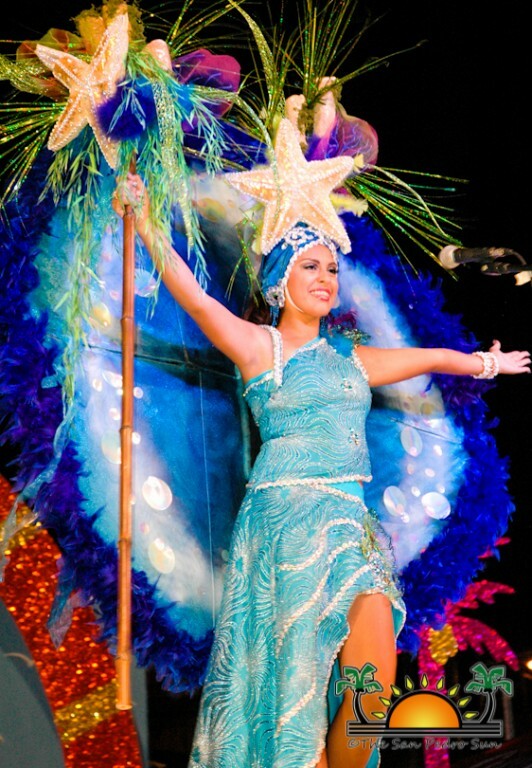 From the opening dance that depicted the ladies in their casual wear, to their colorful costumes that ranged from archaeological sites to the flora and fauna of Belize, to the melting pot of cultures of our country and the Great Blue Hole, to the bright swimwear and elegant evening gowns, each contestant proudly displayed what Belize is about. 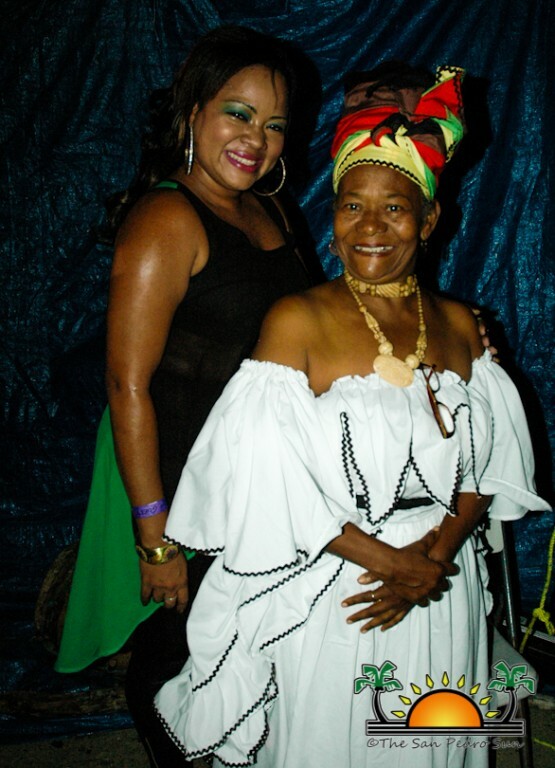 Entertainment for the evening included the ever energetic Soca songstress Ernestine Carballo, the modern dance group Nu Generation, amateur group The Truth, and as a grand finale, the Brukdong Queen Leela Vernon! 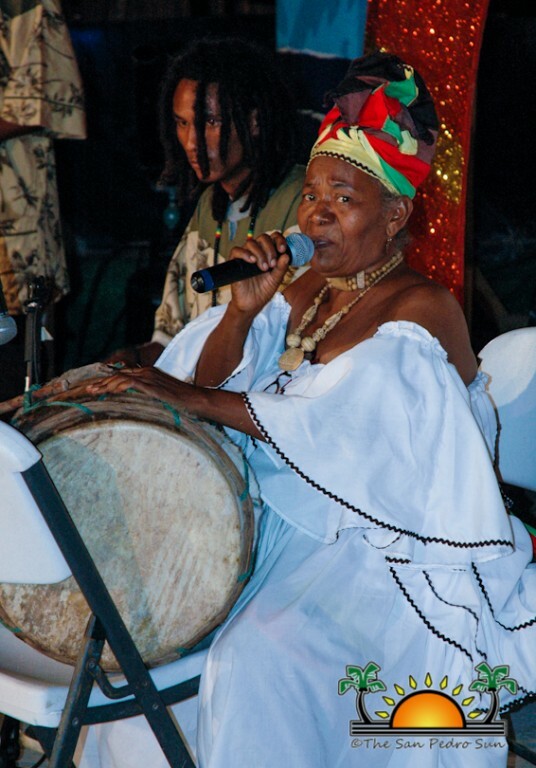 It was an amalgamation of sound and dance, much like the people of our tiny nation. 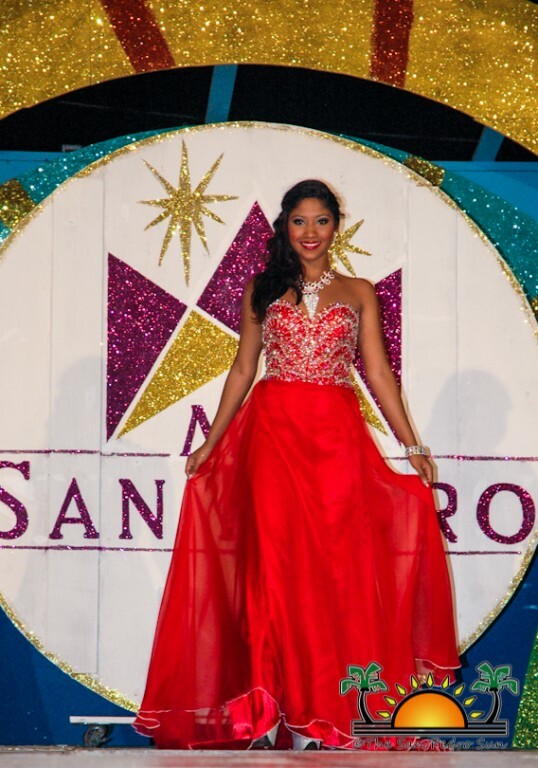 The highlight of the evening was the evening gown walk followed by the question and answer segment. 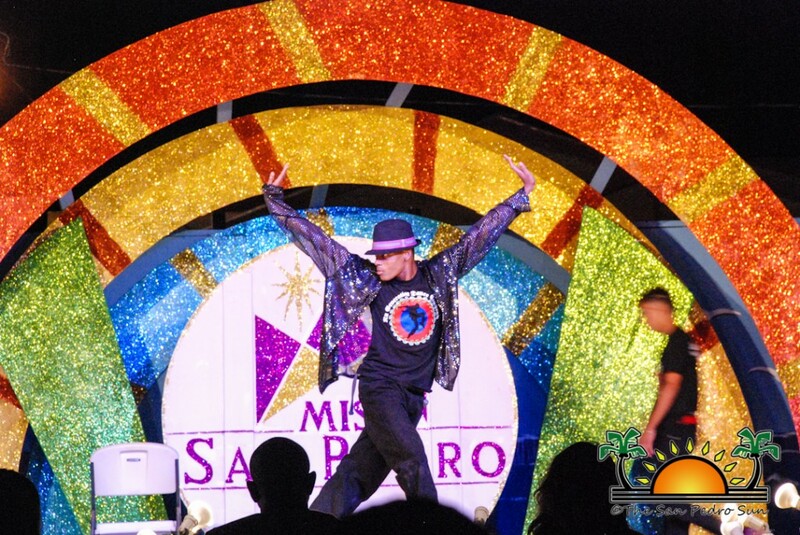 This segment is the most nail-biting portion of the evening, and if audience members feel nervous, one can only imagine what it must be like on-stage! 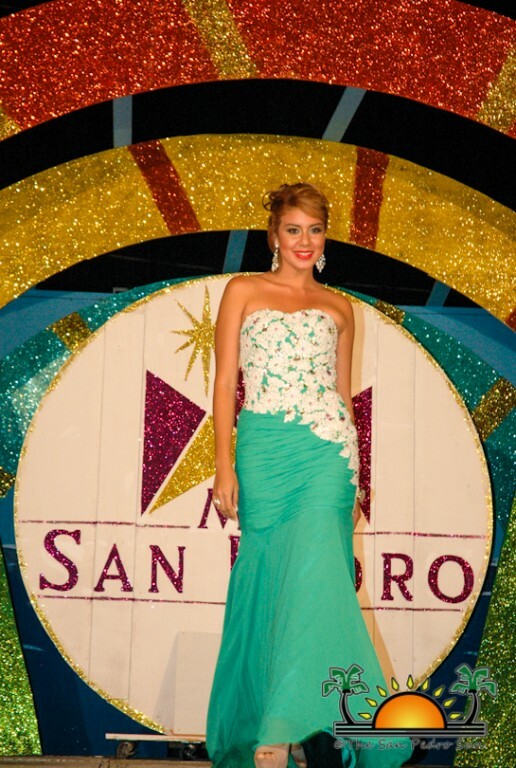 After modeling their stunning gowns to the delight of the audience, it was time to face the questions head-on. 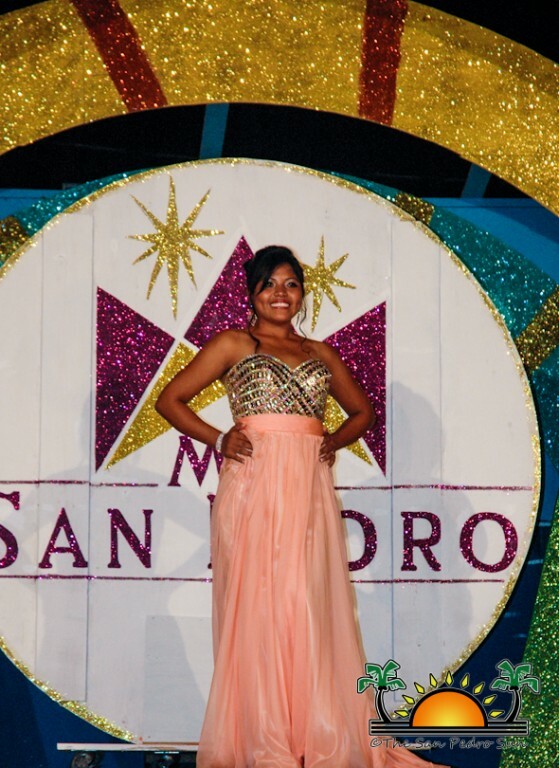 Unfortunately for three of the contestants, stage nerves got the best of them, but they bravely plowed through and responded beautifully. 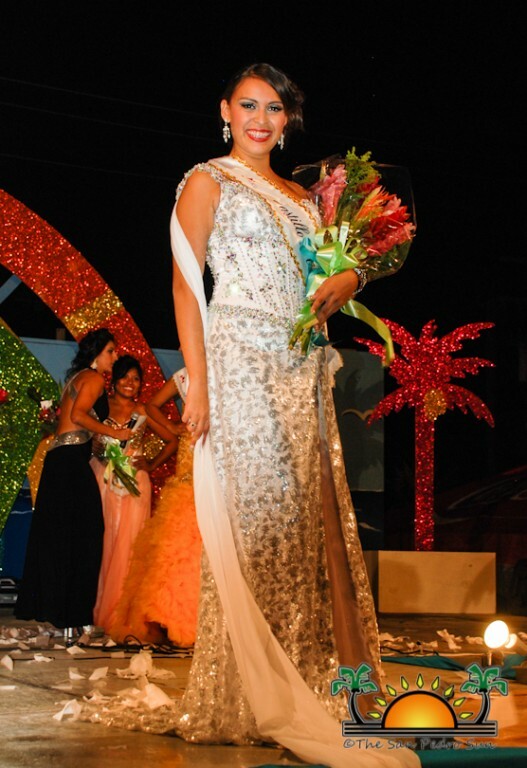 Oscar Montero, Lori Drake, Kieron Flowers, Roxana Bradley and Mathy Rodriguez, the five judges tasked with choosing a winner certainly had a tough decision ahead. 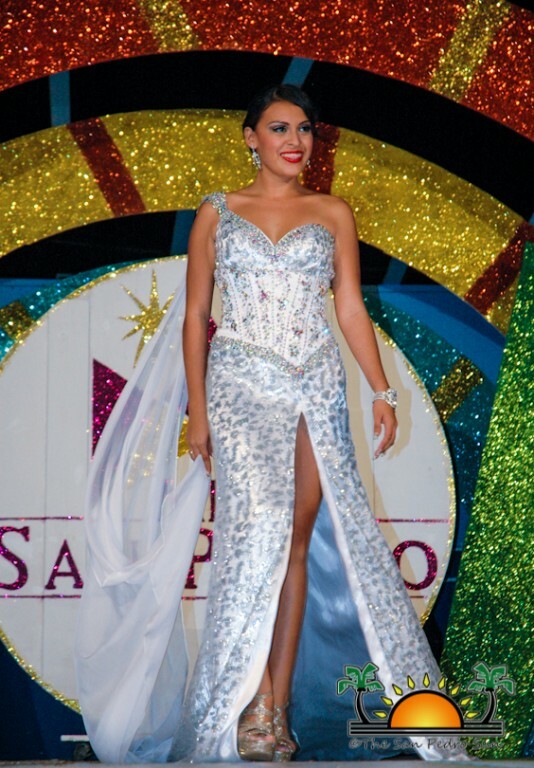 As the judges deliberated, Miss San Pedro 2012-2013 Naiely Puc gave her emotional farewell walk. 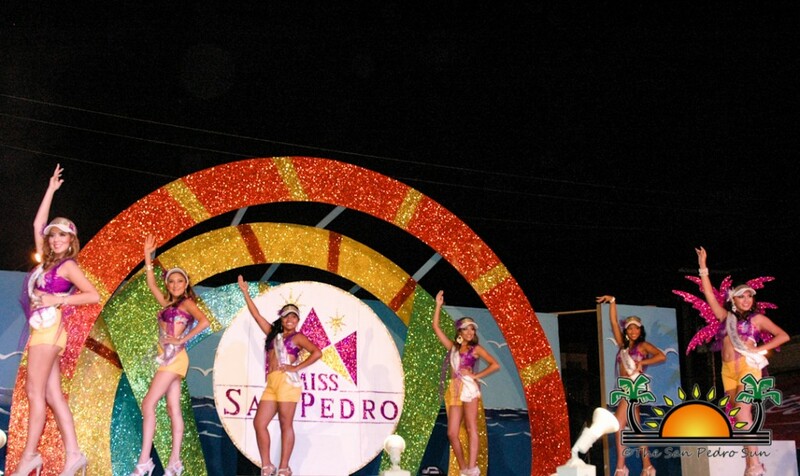 She reminisced about her year of reign and the many opportunities that being Miss San Pedro gave her. 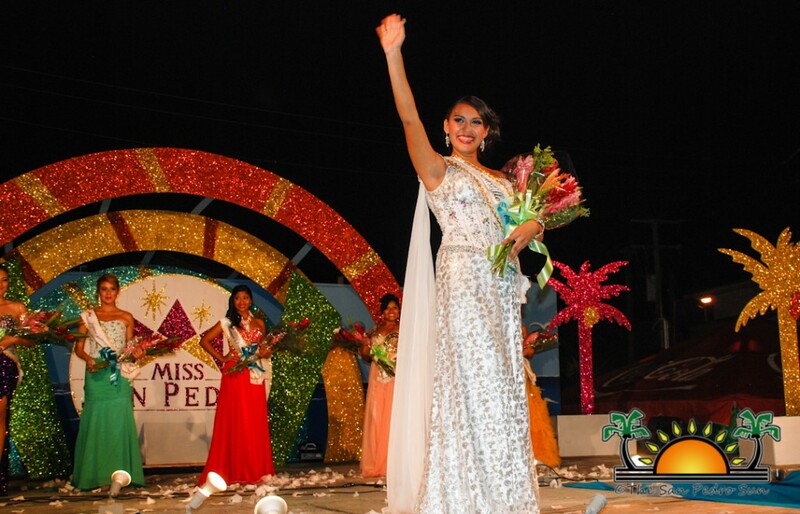 She encouraged the next Miss San Pedro to enjoy every moment of her upcoming reign, and thanked everyone who played a vital role in her year as San Pedro Town’s beauty ambassador. 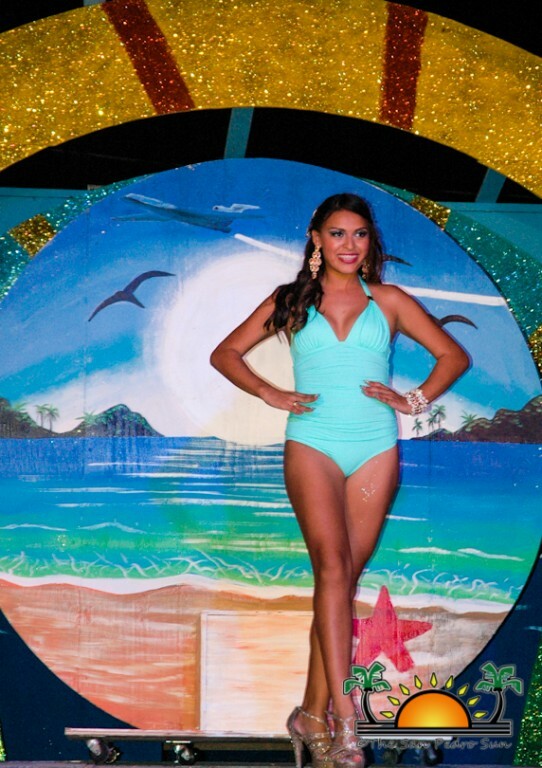 After she walked off, it was time to announce the winner. 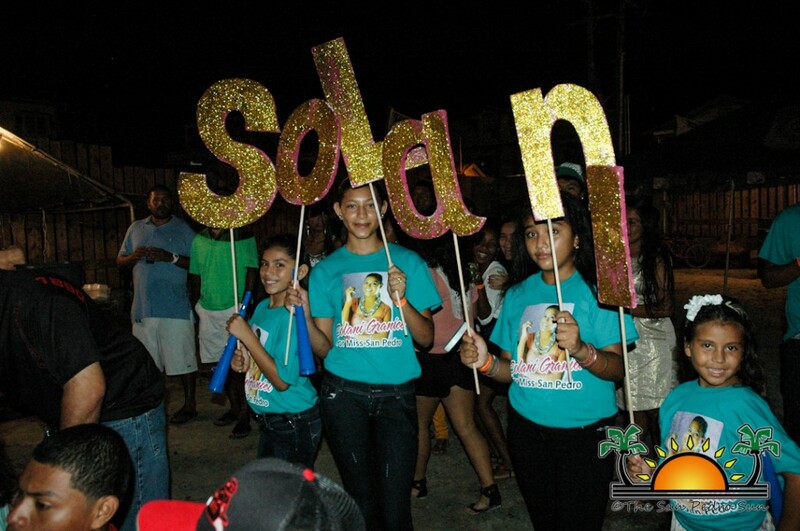 Solani will be crowned at the official coronation ceremonies on September 10th. 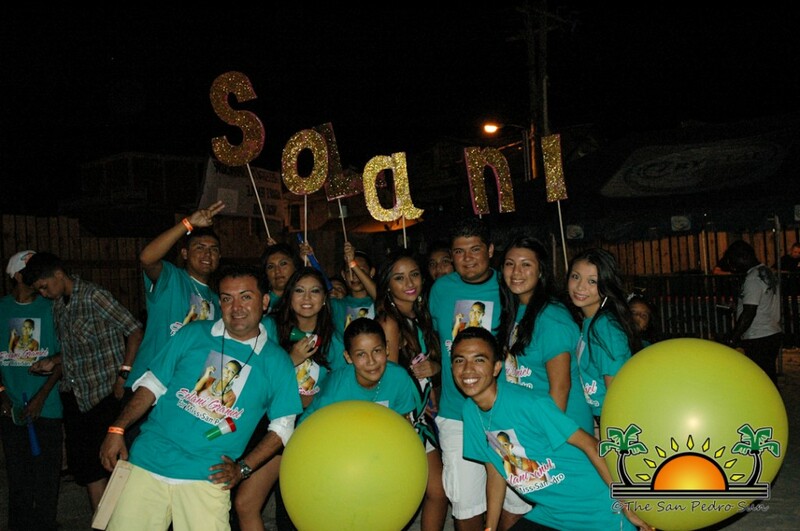 Congratulations Solani! 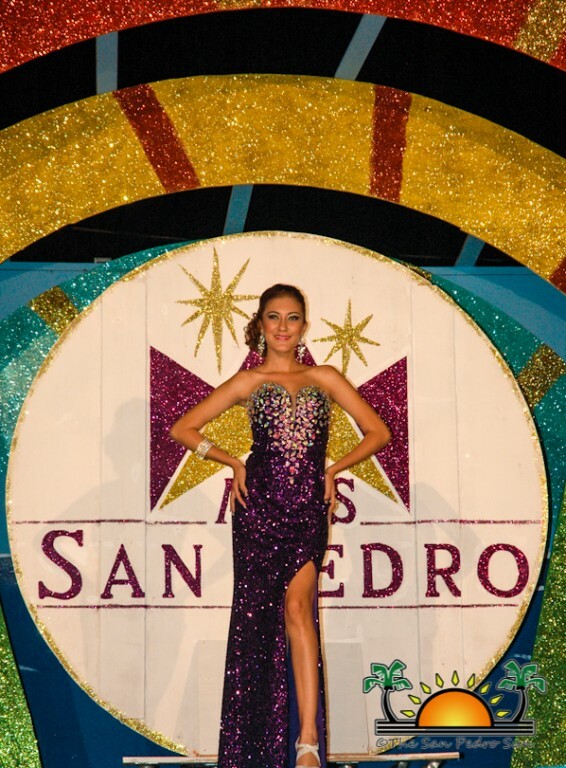 Long live Miss San Pedro!